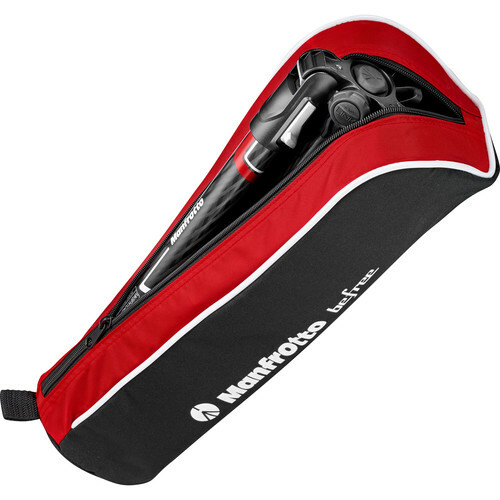 Sporting a 22 lb load capacity at a weight of only 3.4 lb, this black Befree GT Travel Tripod from Manfrottois designed for professional photographers needing a reliable travel companion for their DSLR or mirrorless cameras. 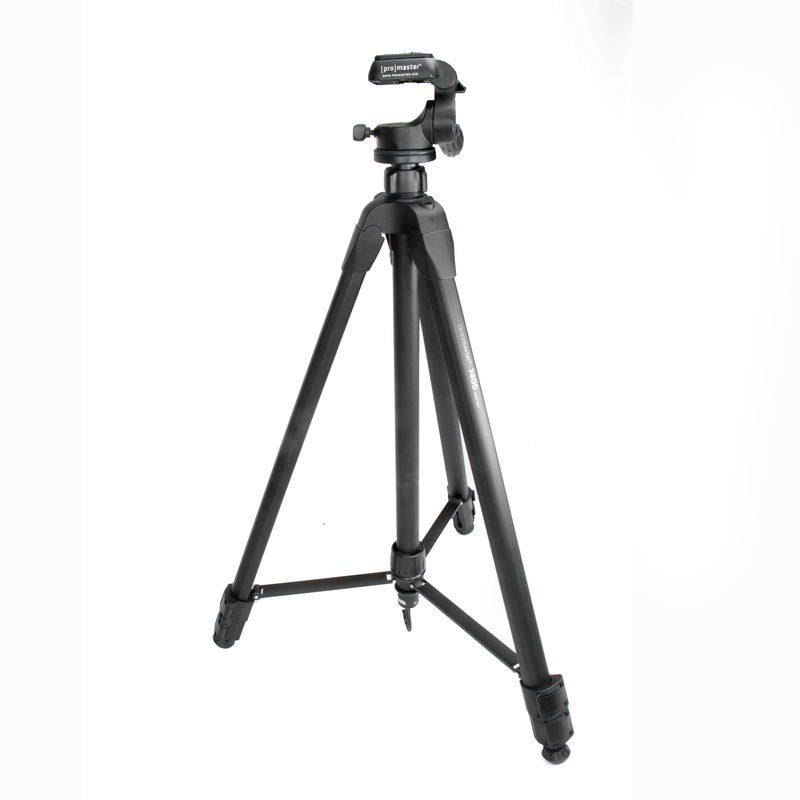 It features a sturdy carbon fiber construction, reaching a maximum height of 63.8″ with the center column extended and 54.3″ when the column is collapsed. 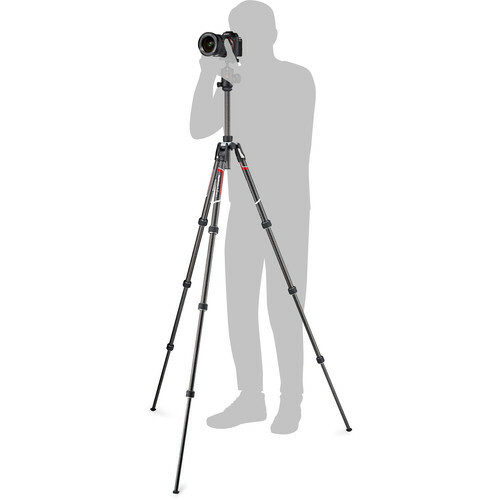 For storage, the tripod folds down to 16.9″ in length and can be easily carried in its included padded bag while traveling. 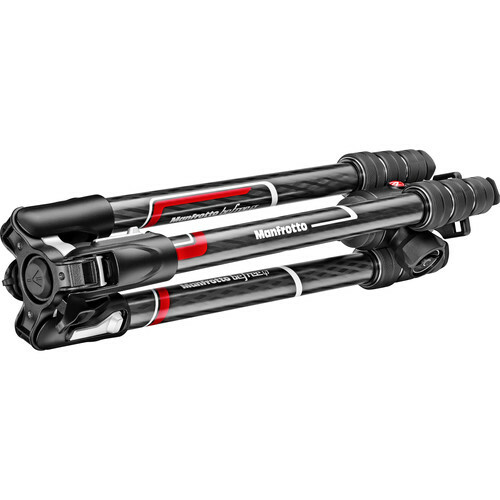 Each leg of the Befree GT is composed of four sections, which can be adjusted and secured in seconds thanks to the M-lock twist locks that operate with a simple 90° turn. 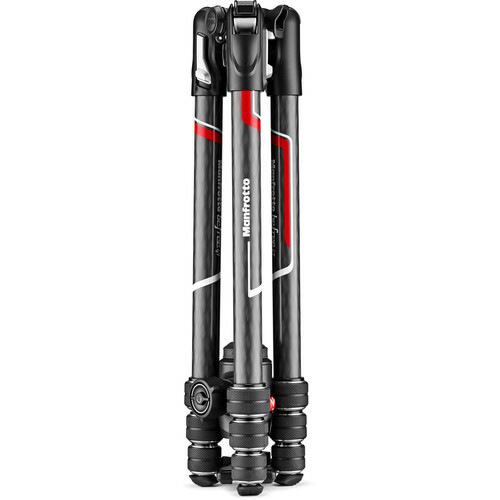 A side-pull selector allows you to unfold the legs and lock them at three different angles, making for an easy way to regulate your height. 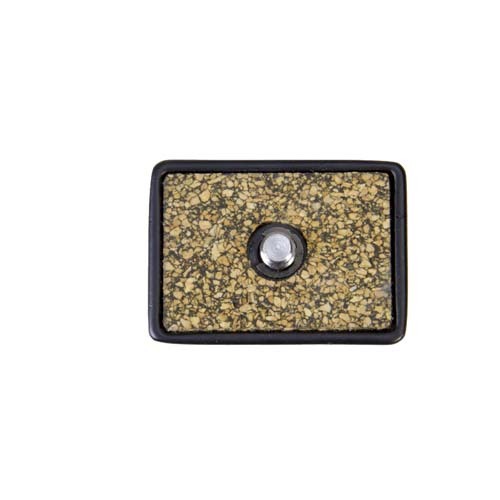 Complementing the legs is the equally robust 496 ball head, which offers a dedicated knob for panoramic movement as well as a friction control knob for precise control over the tension during use. 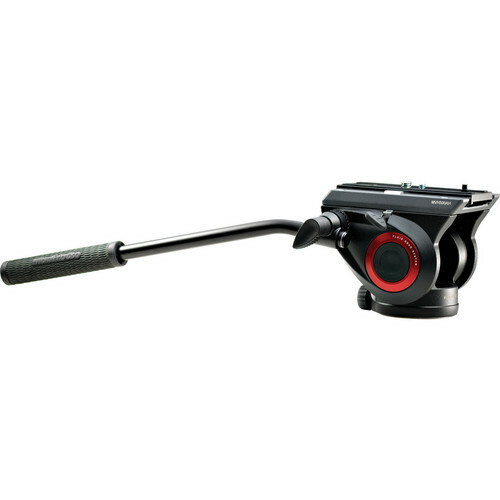 The final element is a quick release plate, which is compatible with both RC2 and Arca-type clamps except for the Manfrotto 804-3W and MH804-3W tripod heads. An Easy Link attachment is available at the top portion of the leg section, and allows you to connect optional accessories such as flashes or reflectors. 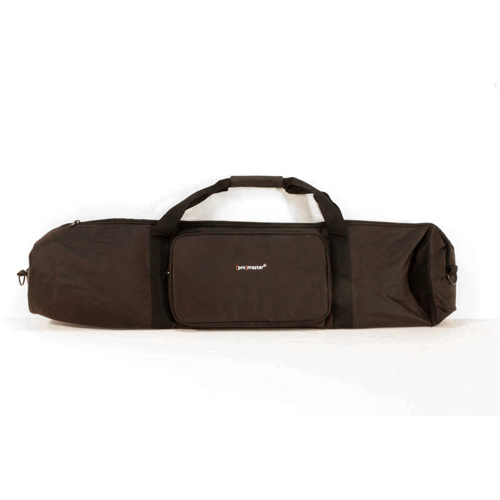 This enables you to use the tripod as a support system and reduce the amount of gear you need to carry while travelling. 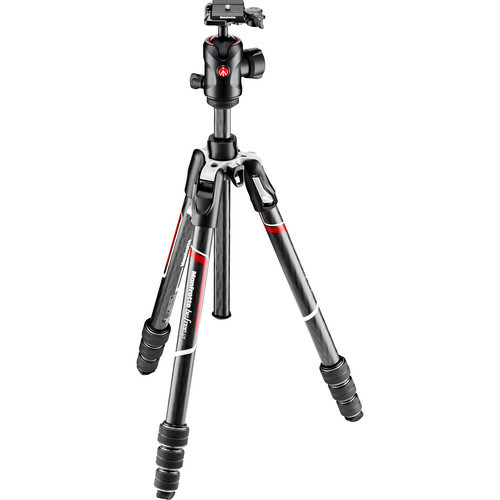 Additionally, rubberized feet are used to avoid skidding and help keep the tripod stable in most types of terrain. The Befree GT is compatible with both 1/4″-20 and 3/8″-16 threaded mounts, thanks to an included bushing adapter that allows you to switch between the two screw sizes.